Not too long ago now, I finished what I believe is an excellent book for evangelicals to engage with in regards to handling some of the difficulties of Scripture. 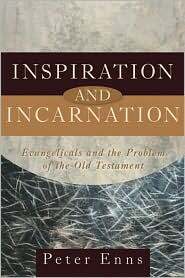 That book comes from scholar and theologian, Peter Enns, and its title is: Inspiration and Incarnation: Evangelicals and the Problem of the Old Testament. While I had hoped to post a review in one article, it has become obvious that I will need to cut this into two parts. Hence, this is only part 1. Enns had been Professor of Old Testament and Biblical Hermeneutics at Westminster Seminary, one of the long-standing seminaries in the reformed tradition. No doubt some are aware of how his 2005 release of Inspiration and Incarnation caused some problems within Westminster. It initially led to the seminary president’s conducting faculty meetings over a 2-year period, discussing the nature of the book. This ended with a faculty vote of whether or not the book fell within the parameters of the Westminster Confession Faith. Though the faculty vote was in favour of Enns being within the bounds of the Westminster Confession, the decision was handed over to the Board of Trustees, which ultimately decided to suspend Enns from his position. A few months later, the seminary and Enns decided to part ways, with 9 trustees subsequently resigning from the board. 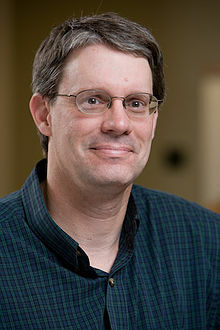 Peter Enns is now Senior Fellow, Biblical Studies with the Biologos Foundation. So, as one can see in these brief words above, Enns book has caused somewhat of a stir within evangelicalism. I was probably somewhat predisposed to take the view that Enns’ book would be an insightful and helpful work with which Christians can engage on discussion surrounding questions and ‘problematic’ texts within Scripture. One, I had already begun to rethink some things in regards to the nature of Scripture and, secondly, it had been recommended to me by a friend who I had engaged with about the doctrine of Scripture, we have similar views. And, though I acknowledge my predisposition, I still confess that this is an extremely well-written, scholarly, yet down-to-earth and not-too-lengthy, 173-page book. First off, Enns is an evangelical conservative in all matters of the historic, orthodox Christian faith. And he affirms the God-breathed and authoritative nature of Scripture as the word of God. This is why I believe it is a solid book for evangelicals to interact with as they rigorously grapple with the ‘problems’ that arise when academically studying the Scripture text. This way of thinking of Christ is analogous to thinking about the Bible. In the same way that Jesus is – must be – both God and human, the Bible is also a divine and human book. Although Jesus was “God with us,” he still completely assumed the cultural trappings of the world in which he lived. In fact, this is what is implied in “God with us.” Perhaps this is part of what the author of Hebrews had in mind when he said that Christ was “made like his brothers in every way” (Heb 2:17). Jesus was a first-century Jew. The languages of the time (Hebrew, Greek, Aramaic) were his languages. Their customs were his customs. He fit, he belonged, he was one of them. So, too, the Bible. It belonged in the ancient worlds that produced it. It was not an abstract, otherworldy book, dropped out of heaven. It was connected to and therefore spoke to those ancient cultures. The encultured qualities of the Bible, therefore, are not extra elements that we can discard to get to the real point, the timeless truths. Rather, precisely because Christianity is a historical religion, God’s word reflects the various historical moments in which Scripture was written. God acted and spoke in history. As we learn more and more about that history, we must gladly address the implications of that history for how we view the Bible, that is, what we should expect from it (p17-18, emphasis his). If we simply stopped there, I believe we have enough to reflect on with regards to the nature of Scripture. I believe one of the major problems amongst evangelicals is our docetic-like view of both Christ and Scripture. But Christ was fully human and so is Scripture. We must embrace this about both the One who reconciled us to the Father and the inspired text that has been given to us by the saints of old. The Old Testament and Ancient Near Eastern Literature: The Impact of Akkadian Literature, Some Other Ancient Near Eastern Texts, What Exactly Is the Problem?, How Have These Issues Been Handled in the Past?, How Can We Think Differently through These Issues?, how Does This Affect Us? The Old Testament and Theological Diversity: The Problem of Theological Diversity in the Old Testament, Diversity in Wisdom Literature, Diversity in Chronicles, Diversity in Law, God and Diversity, What Doe Diversity Tell Us about Scripture? This is a lot to cover in, well, just under 150 pages. But, in my view, Enns does a very solid job of carefully and fairly handling these varying areas of discussion. In chapter 2, The Old Testament and Ancient Near Eastern Literature, Enns takes time to show how the early chapters of Genesis are comparable with other similar creation and flood accounts of the ancient near eastern world, those such as Enuma Elish, Atrahasis and Gilgamesh. He also takes time to compare the likenesses between the Old Testament Israelite Law and other ancient near eastern laws and codes such as the Code of Hammurabi and Hittite Suzerainty Treaties, not to mention the similarities amongst the wisdom literature of the Israelites and other ancient near eastern groups. Other such text that is also helpful in showing these parallel accounts between Israel and other ANE people groups is Old Testament Parallels: Laws and Stories from the Ancient Near East by Victor Matthews and Don Benjamin. Does the Bible, particularly Genesis, report historical fact, or is it just a bunch of stories culled from other ancient cultures? What does it mean for other cultures to have an influence on the Bible that we believe is revealed by God? Can we say that the Bible is unique and special? If the Bible is such a “culturally conditioned” product, what possible relevance can it have for us today? For me, this makes very much sense from all that Enns has been explaining in this chapter. There were competing ‘myth’ accounts of the day of how all ‘this’ (the earth, the creation, the cosmos, etc) came into being. Hence why we see similarities with accounts like the well-known Enuma Elish and Gilgamesh stories. But, within the Israelite community, a community that was being brought together as the true followers of the one true God, Yahweh, this text was give as the inspired account of humanity’s origins. Therefore, Genesis 1 was not first and foremost given to tell us how long the creative process took place, but it was given, rather, to explain such things as the nature of Yahweh as God, Creator and Lord of all creation, the nature of humanity, the entrance of sin, etc, ultimately making its way towards that ever-important person of Abraham, the father of the Israelite faith. Of course we cannot hold ancient near eastern people to a modern cosmology. The reality is that their view of the whole creation would be not line up with what we scientifically know. 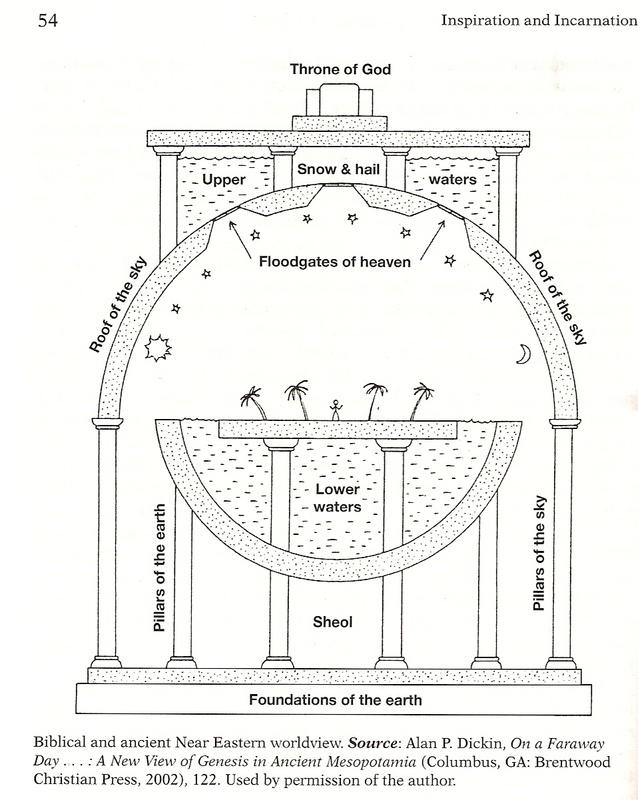 Matter of fact, the illustration below shows an ancient near eastern cosmology. They probably believed the sky was blue because they believe there actually was a storage of water up there. Therefore, when ancient near eastern Israelites touch on cosmology and issues of science, why would we hold them to our standard, modern view (though I suppose a 21st century view of the cosmos still pales to the complete picture that God has)? Their understanding of biology and geology and astronomy was lacking in many ways (and, again, ours is as well). I don’t say this arrogantly, noting how much better we are over them, but rather to emphasise that I do not believe we should hold Scripture, an ancient near eastern documented text, to levels of a modern understanding of cosmology or any of the natural sciences. Just as I would hope someone from the 23rd century would not hold us to their more informed understanding. I assume that the extrabiblical archeological and textual evidences should play an important role in our understanding of Scripture. Ours is a historical faith, and to uproot the Bible from its historical contexts is self-contradictory. In and of themselves, these evidences are not wholly determinative; some are clearer and more relevant than others. They must be looked at carefully and patiently and thus interpreted as to their importance. Though they are not determinative, they are wholly relevant to how we understand today what the Bible is. To state the opposite, I reject the notion that a modern doctrine of Scripture can be articulated in blissful isolation from the evidence we have. These are very wise words as the church continues to study the Scripture in light of continual historical, archeological and scientific findings. Second, such a worked-out doctrine of Scripture should have implications for how Christians today use it. In other words, understanding the Old Tesatment in its ancient Near Eastern setting will raise the question of how normative certain portions of the Old Testament are: if the Old Testament is a cultural phenomenon, how binding is it upon us whose cultural landscape is quite different? This is a large issue…But the bottom line is this: how we conceive of the normativity or authority of the Old Testament must be in continual conversation with the incarnate dimension of Scripture. In other words, what the Bible is should affect what we as Christians do with it. It simply will not do to assume that what was binding on Israel is binding on us because it is written in the Bible, and the Bible is God’s word, and therefore all of it is of equal weight through all time. Not only do we no longer share the conventions of the ancient Near Eastern world, but we also live in union with the crucified and risen Christ, in whom all of the Old Testament finds its completion. I believe these words are extremely helpful as we, as Christians, approach the biblical text, especially the Old Testament. It challenges some of the more blanket statements that we can easily throw out within evangelicalism, all without carefully explaining the in’s and out’s of such assertions. Yes, we can talk about the perspecuity (clarity), sufficiency and authoritative nature of Scripture. But it is not as easy as saying, ‘Scripture is clear,’ or ‘Scripture is our ultimate authority in the practice of our faith.’ These issues need to be thought through with delicacy and pastoral wisdom. Such is important as we help others understand the nature and teachings of Scripture as well. That should suffice for now with regards to part 1 of my review of Inspiration and Incarnation. Such a scholarly, yet understandable, work that I hope many Christians will encounter in the days to come. I’ll post my part 2 in the next couple of days. I really, really enjoyed this book. Often when I find myself thinking on the nature of Scripture it is inevitably in the terminology of this book. It greatly impacted how I read the Bible. I do agree. This is an exceptional book. I believe Enns deals wisely and honestly with the issues he addresses. I would like to read two more recent books on the nature of Scripture: 1) How (Not) To Speak of God by Peter Rollins (it is sitting on my nightstand) and 2) God’s Word in Human Words (I’ve read an essay by him, but want to read something more full). Pingback: The Bible Archive » Blog Archive » Was Jesus Upset About Santa?